The great Honoré saw it all pretty clearly. 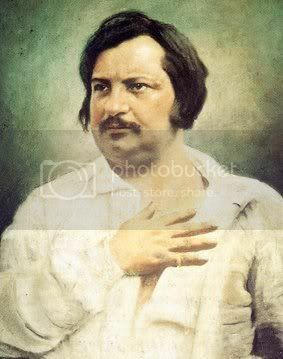 BEHIND EVERY GREAT FORTUNE, the great French novelist Honoré de Balzac once pronounced, sits a crime. If you can’t see that crime, the work of Pulitzer Prize-winning American journalist David Cay Johnston suggests, you’re not looking hard enough. Johnston has been looking for years as the lead reporter on the New York Times tax beat. In articles, interviews, and books, Johnston has devastatingly detailed how our wealthiest build fortunes by brazenly evading taxes. Johnston left the Times recently and now writes a regular column for Tax Notes, the nation’s top trade journal for tax professionals. His most recent investigative target:General Electric. Seems that G.E. officials in Brazil spent years conniving their way out of tens of millions of dollars — maybe much more — in taxes. Over most of the last quarter-century, the biggest beneficiary of anything that has flourished at General Electric has been Jack Welch, the G.E. CEO who retired in 2001 with a fortune valued at up to $800 million. What’s Jack doing in his sunset years? He’s educating the world — on why CEOs aren’t overpaid. On Kensington Palace Gardens, a picture-perfect London lane that the late Princess Diana once called home, the locals may soon have trouble pointing lost delivery trucks to the Mittal residence. They’ll have to answer with a question of their own: Which one? Steel magnate Lakshmi Mittal has just purchased his third home on London’s most fashionable byway. He paid a hedge fund titan $140 million for it. Mittal, the world’s fourth-richest man, had already spent $234 million, earlier this year, on another Kensington Palace house a bit down the road. His original digs on the street, purchased in 2004, cost $114 million. The homes all sit a few hundred yards apart. Their current value: about $880 million. Mittal’s son now has the second house. His daughter will get the third. Ray Madoff, Dog Eat Your Taxes? New York Times, July 9, 2008. A Boston College law prof dissects, with humor and eye-opening numbers, how average taxpayers “subsidize the whims of the rich” through current tax code provisions on charitable deductions. Billionaires Are Gouging Your Grandparents, Brave New Films. This latest video from the War on Greed series exposes, in a brief few minutes, how private equity investors are “buying companies, cutting costs, and turning quick profits” in the assisted-living industry. Daniel Torres, So Rich Brazil, So Many Poor Brazilians! July 10, 2008. A good primer on how economy and society in Brazil have operated to exclude the vast majority while rewarding the few. Eugene Halton, Don’t worry. Be happy. Be very happy. National Catholic Reporter, July 11, 2008. A savvy book review that explores why inequality and happiness don’t mix. Former General Electric CEO Jack Welch is keeping busy in retirement. Among other endeavors, he’s writing an internationally syndicated newspaper column with his current life partner, former editor of the Harvard Business Review Suzy Wetlaufer. The column carries a just-folks title, Winning with Jack and Suzy, and regularly mixes business advice for would-be moguls with snappy expositions on Welch’s political and economic philosophy. The latest installment, for instance, features a full-throated, unapologetic defense of contemporary corporate executive pay. What about shareholders setting executive pay? Well, we shouldn’t want shareholders setting pay either. But if we let corporate boards determine the bossman’s pay, aren’t we asking for cronyism and corruption? Not to worry. The free market will protect us. The price a company’s shares of stock command in that free market reflect and reward real performance, not back-scratching. In other words, the market rocks! Executives who make lots of money make that money because the market has determined they deserve it. This neat logic begs a question or two. In 2000, if we follow the Jack and Suzy logic train, the market apparently decreed that Jack Welsh himself merited $144.5 million for his G.E. labors. This $144.5 million, Welch’s total pay in 2000, equaled about 3,500 times the income of that year’s typical American family. Interestingly, back in 1975, the market made a very different determination on the value of Jack Welch’s predecessor as General Electric CEO, the legendary Reginald Jones. Jones had a spectacularly profitable run in G.E.’s top slot. U.S. News & World Report would even call him the most influential business executive in the entire United States. But Jones only took home $500,000 in 1975, just 36 times the income of that year’s typical American family. Why did the “market” so change its mind about the value of the General Electric’s top executive? 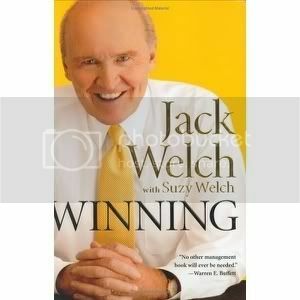 Why did the market decide that Jack Welch was 100 times more valuable than his incredibly successful predecessor? Could the “market” have somehow made a mistake somewhere in all this? Or did the relatively modest paycheck that went to Reginald Jones in 1975 reflect the political and economic power dynamics, the checks and balances, of a society substantially different from our own? Could CEOs, if that’s the case, actually owe their rewards more to their power than their “performance”? Maybe Jack and Suzy can take these questions up in their next column. The Persistent Problem: Inequality, Difference, and the Challenge of Development, American Political Science Association Task Force on Difference, Inequality, and Developing Societies. Washington, D.C., July 10, 2008. Not too long ago, the world’s exquisitely rich could always count on support from the world’s exquisitely educated. Economists and political scientists with degrees from the finest universities regularly plastered public policy circles with books, papers, and reports that treated the wealth of the wealthy as an absolutely necessary social good. SANE SOCIETIES, these educated experts argued, should gaze kindly on grand accumulations of private wealth. Their mantra: The more wealth accumulates, the more the wealthy invest, the more economies grow, the better off all of us will surely become. With only marginal exceptions, eminently respectable mainstream analysts have been spouting this basic worldview for over a generation. They have genuflected before wealth and dismissed as simply silly any concerns and apprehensions about wealth’s unequal distribution. Not anymore. The early years of the 21st century have seen a remarkable flow of papers and studies from entirely reputable international institutions — the World Bank for one — that actually treat our earth’s lopsided distribution of income and wealth as a chilling threat to humanity’s basic well-being. This verdict appears in a new Association task force report — The Persistent Problem: Inequality, Difference, and the Challenge of Development — that took 13 top political scientists three years to complete. The richer the rich become, in other words, the more damage they can do. Political science boils down to the study of power, and The Persistent Problem patiently describes how wealth that concentrates at a society’s summit helps the powerful prevent badly needed social reform and frustrate the building of the sound infrastructures that healthy modern economies demand. The Persistent Problem doesn’t get terribly specific about the steps that can take us toward a more equal world. The report’s more modest objective: to make ignoring inequality indefensible. THE EDITORS OF CYRANO’S JOURNAL HAVE ONLY THIS TO SAY: It took 13 respectable political science scholars three years to figure out that gross inequality was wrong and bad for society? Hellooooo? Anybody home? No wonder this society is in trouble. In 2000, the wealthiest 1 percent of the world’s people earned 415 times more than the poorest 1 percent, the American Political Science Association reports. In 1980, the income gap between top 1 percent and bottom 1 percent stood at just 216 times. Too Much is published by the Council on International and Public Affairs, a nonprofit research and education group founded in 1954. Office: Suite 3C, 777 United Nations Plaza, New York, NY 10017. E-mail: editor@toomuchonline.org. ?